There are a lot of new features, both optional and standard, on Brighton drivers' vehicles these days. One you may not have heard of is called a cabin air filter. Simply put, its job is to keep the air in the passenger compartment of your car nice and clean. A cabin air filter is similar to the filter you use on your furnace at home in Brighton. Cabin air filters can catch particles down to three microns. By comparison, a grain of sand is 200 microns. So cabin air filters are effective against dust, dirt, pollen, mold spores and most pollutants in our Brighton area atmosphere. Good news if you suffer from any types of allergies, or if you live in an area in Michigan prone to air pollution. 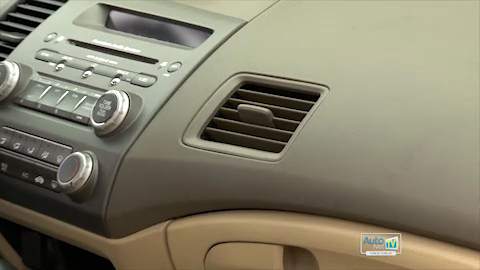 Cabin air filters are generally located in the engine compartment or under the dashboard. They can be tricky to access and replace, so you'll probably want to go to your friendly and knowledgeable service advisor at Spartan Tire Brighton to get it done. Check your vehicle owner's manual to find out if your vehicle is equipped with a cabin air filter and how often it should be changed. Recommendations vary, but generally a cabin air filter should be changed every 12,000 to 15,000 miles (19,000 to 24,000 kilometers). Of course, if you are an allergy sufferer in Brighton, you may want to replace it more often. Also, if you do a lot of driving in polluted or dusty areas in Michigan, you'll also want to shorten the cabin air filter replacement period. Dirty air filters just don't work well, and they can exude an unpleasant odor if ignored for too long. Most Brighton folks know that good car care includes keeping your vehicle clean, including the air inside the passenger compartment, so changing your cabin air filter should be part of your routine preventive maintenance. It's good auto advice as well as good medical advice that an ounce of prevention is worth a pound of cure. You really shouldn't wait until the interior of your car starts to smell and your eyes start to water before you change your filter. And trying to cover it up with a dangling green pine tree is not the right answer, either! Cabin air filters can be a welcome relief to Brighton allergy sufferers, but they're also a great idea for anyone in Michigan who just wants to breathe better.